Gibraltar (also known as “The Rock”) is located on the tip of Spain and marks the entrance to the Mediterranean Sea. Its know for its tourism, but also as one of the gaming jurisdictions in Europe. Designated a British overseas territory, the country governs its own affairs except for military defense and foreign relations. Its most notable feature is the Rock of Gibraltar, a limestone promontory that juts 1,398 feet into the air and is dotted with wild monkeys and a network of tunnels. While the country has an area of just 2.3 square miles, its 30,000-plus residents make it one of the most densely populated territories in the world. Many of these individuals earn a living from the bustling tourism industry–thanks to an average of 300 days of sunshine per year–although shipping and financial services also provide numerous opportunities for employment. Another industry that generates significant opportunity is online gambling. By issuing licenses and providing a stable environment for operators to conduct their business, Gibraltar has managed to employ more than 2,000 of its residents and generate millions in tax revenue each year. The island nation first dabbled with gaming licenses in 1998, and it has since grown to become one of the more notable examples of a virtual gambling jurisdiction. 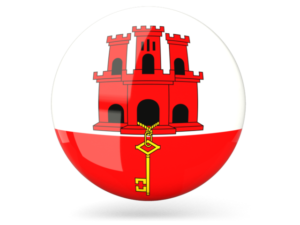 The 2005 Gambling Act further defined their role in the world of igaming, and the Gibraltar Betting and Gaming Association began operation the same year to act as a voice for dealing with international organizations and regulators. In order to receive and maintain a gambling license, an operator must meet several conditions and requirements, as well as various annual fees. In this section, we’ll take a closer look at the rules imposed by the Gibraltar gambling commission. Located in Gibraltar – The licensed company must be managed from Gibraltar at all times. They must also be able to produce a list of key personnel upon demand. Gaming Taxes – Internet casinos are required to pay a tax equal to 1% of their gross profit, with a maximum of 425,000 euros and a minimum of 85,000. Fixed-odds operations and betting exchanges are taxed at 1% of the turnover, with the minimum and maximum being the same as online casinos. This system of taxation has been in place since the passage of the 2005 Gambling Act. Advertising – Marketing for the casino must never be aimed at minors, nor can it target citizens who live in nations where online gambling is illegal. Websites that advertise the casino cannot include links to violent or immoral content, and all forms of marketing must provide accurate details about games, prizes, or any details pertaining to the casino. Financial Accountability – All bank accounts must be controlled by the licensed company, and they cannot be located in a jurisdiction other than Gibraltar without prior permission. Each year during license renewal, the company must present audited accounts of all financial transactions. Adequate Funds – The licensee is required to have the necessary capital at all times to cover operating expenses and payouts to players. Testing – All gaming software must be tested by an independent organization to assure fairness and dependability. The Gibraltar Licensing Authority has approved the following test houses: iTech Labs, eCOGRA, BMM Compliance, SQS India Infosystems, NMi Metrology & Gaming, GLI Test Labs Canada, Gaming Associates, and GLI Europe. Customer Information – Before a potential customer is allowed to play, the license holder must obtain the following information: date of birth, place of residence, and full name. It is also the responsibility of the license holder to keep this information (as well as financial details) safe on behalf of their clients. Assuming that these conditions are met, the applicant is also required to pay a fee of 2,000 euros. This secures a license for a period of one year, and an annual audit ensures that the company is in compliance with everything from overall fairness to available bandwidth. Customer Documentation – A player requesting a withdrawal may be asked to provide copies of documents such as a passport or bank statement. Customers sometimes object to being asked for such material, and the delay can often lead to complaints. Suspended Accounts – A player account may be suspended when the customer tries to trick the casino or allows someone else to use their login information. In some cases, a casino may also mistakenly suspend an account. Connection Problems – A break in service can lead players to file a complaint, although this is often outside of the casino’s control. Software Bugs – Glitches in the software can give an advantage to either the player or casino. Unfair Games – While casino software must pass rigorous testing, losing customers often become convinced that games are fixed. Terms & Conditions – Most players don’t bother to read all the terms and conditions. When something in this section winds up causing them an inconvenience or costing them money, they’re often quick to complain. Bonus Problems – Free money at an online casino is never free. The customer is required to wager a multiple of the bonus money before it can be withdrawn, and this often leads to enraged players (who didn’t read the fine print) filing complaints. Self-exclusion – Players can limit the amount of money they’re allowed to wager. Thanks to misunderstandings with customer service, however, the desired limit may not be properly implemented. Disruptive Behavior – This type of complaint usually comes from a customer who got banned after threatening a member of customer service or using repeated foul language. Unrelated Issues – These are items that fall outside the direct interest of the Commission. These include obnoxious chat room members, affiliate payments, and even spam from the casino. Cancelled Wagers – Disputes arise when the casino notices unusual patterns in the customer’s betting, often consistent with a betting ring, and cancels out their wagers. Even if you have already spoken to customer service, the player should issue their complaint in the form of an email and wait for a response. If you do not receive a satisfactory resolution within two weeks, you may contact the Gibraltar Gambling Commission with your grievance. If your complaint appears valid, it will be assigned to a case officer for further examination. The officer then delivers a decision to both parties. If one of the parties is not satisfied at this point, the decision can be appealed to the Gambling Commissioner. This stage can take a while to complete due to a backlog of cases, although the decision of the Commissioner is considered final.